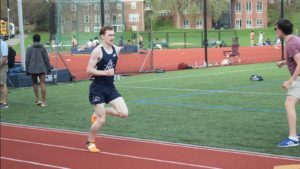 After a suffering tough losses to the likes of Roxbury Latin and Milton Academy during the regular season, the Varsity Track team held their heads high going into the post-season competition. 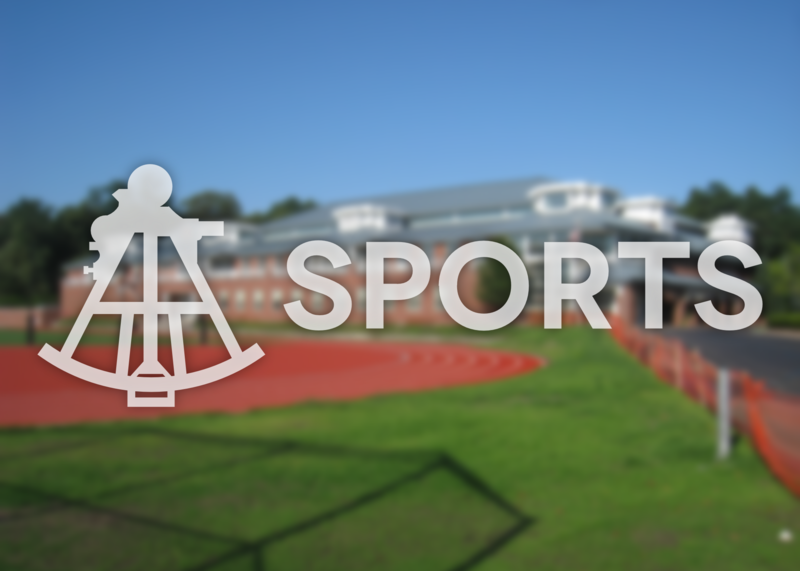 On May 9, Belmont Hill hosted the annual ISTA (ISL League) Championships and attained a third-place finish in a very competitive meet full of talent in each event. A third-place finish at the ISTA brought no celebration; it brought a full week of hard practices and determination as the team looked forward to the New England Championships (NEPSTA Division II) held at the Williston-Northampton School in Western Massachusetts the following Saturday. After a long early morning bus ride, the team settled in for what was to be a long and exciting day on the track. Field events provided a hefty chunk of the team’s points for the day, with multiple first-place finishes. 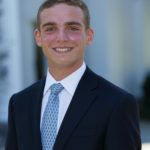 Captain Lucas Ribeiro placed first in both the Shot Put and Discus, with throws of 52’ 11.75” and 185’ 10”, respectively. Lucas’ Discus throw of 185’10” was also a NEPSTA DII record, defeating his own NEPSTA DII record of 179’ 1” from 2014. Captain Sultan Olusekun won the Long Jump with an impressive distance of 22” 5.75”, and placed fourth in the Triple Jump with a leap of 43’ 9”. Will Cannistraro narrowly won the Pole Vault, clearing a height of 11’ 6”, gaining ten more points for the team. Throwers DJ Demetri and Jamie Feinberg both placed well above their seeded places, scoring a combined 5 points that greatly improved the team’s standing in the meet. Distance runners at the meet included Third Formers John Pappo and Quin McGaugh, Fourth Former Cam Hall, Fifth Former Ethan McIlhenny and Sixth Former Yohannes Mezgebu. In the 1500m, Pappo claimed fourth place with a time of 4:18.11, and Hall claimed a PR (personal record) with a time of 4:24.05. In the 800m, Mezgebu claimed a critical sixth-place finish with a time of 2:04.06. Finally, in the 3000m, Pappo had an impressive fourth-place finish with a time of 9:32.90 and McGaugh broke the ten-minute barrier with a PR of 9:59.69. Sixth Former Josh Pradko capitalized on his training and great improvement throughout the season and picked up a fourth-place finish in the 300m Hurdles with a time of 43.16 seconds. As always, the sprinting events presented the fiercest, closest, and most nail-biting competition of the meet. Belmont Hill participation in the sprinting events was dominated by Frank McField, Harry Porter, and Sultan Olusekun. Porter took fifth in the open 400m with a time of 22.95, followed shortly after by McField with a time of 23.08. Porter also placed in the 200m Dash, with a time of 52.16, just behind Olusekun’s fourth-place finish of 51.38. With only the 4x400m Relay left, Belmont Hill, The Masters School, and Thayer Academy were in a virtual tie for first place at the meet. A feeling of excitement and anxiety was felt by everyone on the team as the gun went off for Spencer Anton’s leg of the relay to begin. With a strong start from Anton, Frank McField ran a blisteringly fast leg, gaining much ground and putting the team in a promising position for the final two runners of the day. Sultan Olusekun held McField’s place for the third lap of the relay, and the final leg of the race came down to Harry Porter, beginning with a slight lead. Porter was able to hold the lead for much of his lap, but the last 100 meters came down to a foot race. 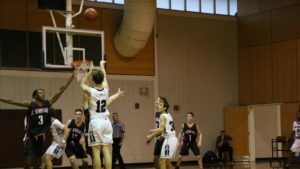 In the end, Porter lit the afterburners and secured victory for Belmont Hill with a first-place finish. Unfortunately, the Track Team loses a number of critical athletes for next year, as they graduate, but the team promises to be strong again next year with a large number of strong returning athletes, as well as some newcomers.